When just about everything was going wrong, YOU KNOW WHO rescued Skeety? No prizes for guessing JKR did it. 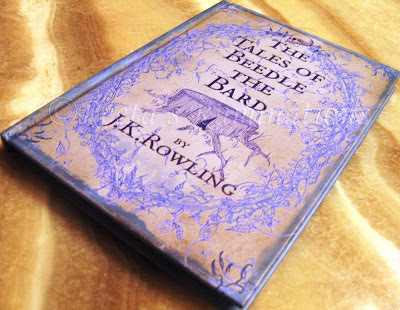 The Tales of Beedle the Bard is the latest offering from the author who penned the 7 series Harry Potter stories. Skeety picked it up on Day 1, as per the ritual followed by all Potter fans (Skeety can never decide if she is a Potter fan or a Rowling fan) worldwide. Rowling is back with this book containing five oh-so-lovely fairytales along with footnotes from none other than Albus Percival Wulfric Brian Dumbledore. Skeety has finished reading Chapter 1 so far. A confession- Skeety reads all Rowling books as slowly as she can, lest they are done with in a jiffy, and Skeety is left craving for more magic. It is indeed a little cute and silly that Skeety keeps looking at, and touching the book whenever she happens to pass by it. 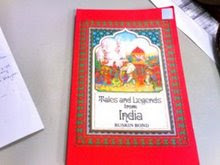 The reason being the cover is as much a STUNNER in itself as are the contents. This book has played a crucial role in assisting Harry, Ron and Hermione, to wipe away Lord Voldemort. The Tales of Beedle the Bard has been translated from the original runes by Hermione Granger. In 2007, JK Rowling came out with seven copies of The Tales of Beedle the Bard. Each was handwritten and illustrated on vellum, bound in brown morocco leather and mounted with different semi-precious stones (How Skeety wishes Rowling gave her one such book). Six of the books were given by the author to those most closely connected to the Harry Potter books over past 17 years; the seventh was given to Children's High Level Group and auctioned by the charity at Sotheby’s in London. 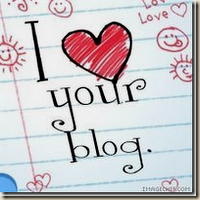 I am happy to see your blog. I would like to know your exp in Journalism field. Great to see u in a good mood ,JKR and HP have that effect on you :) ... happy reading !!! skeety is shamelessly lucky. actually keeper is very lazy. so the keeper still hasn't ventured out of the house to buy the tales. how much did the tales cost skeety? Good for you. I kept getting pre-booking offers from Crossword, but never got to book it. Will you hold it against me if I confess I have read only three HP books? And I agree about the cover: it's awesome. "A confession- Skeety reads all Rowling books as slowly as she can, lest they are done with in a jiffy, and Skeety is left craving for more magic"
I won't say I am a fan of HP books but I did enjoy some. 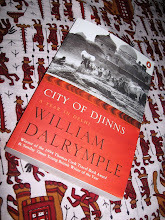 Don't plan to pick this one; I have many Terry Pratchett titles to finish :) Have you ever read them? He's a genius. it's funny to see someone address self in third person...miss i think you live in a world of dreams where you fantasize yourself being the romanticized characters such as cinderella,snowhite etc. might be you are a very young lady and still live in a world of fairy-tale... i'd like to see some serious writings in your blog on important issues and come away with responses that equally matches your article...otherwise if blogging is just a hobby than i'm sorry to have bothered you..ignore this. am in Delhi right now. post me a comment on the last post and I'll tell tell. ooh.. all James Bondy like!